Greece central defender Kostas Manolas is eager to help Roma challenge for silverware this season, having again batted away talk of a possible move away from the club. 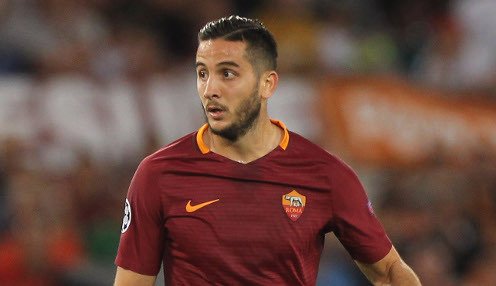 The 27-year-old has been linked with interest from a number of other clubs for the last couple of summers, but Manolas insists that he is fully focused on the challenges ahead with Roma, where he has spent the last four seasons. He told ESPN: "I will make it a fifth (season). The future is the fifth year in Rome. If I was not comfortable, I would not be here. I like my life in Rome. My family is good and I will stay. "I want to win something. I like to win and I try to win a title. It's not easy, but I will try hard." Roma can be backed at 4/1 to finish in the top four in Serie A this season, with AC Milan priced at 8/13 and Inter Milan 1/14. Meanwhile, Argentina striker Gonzalo Higuain is relishing a new challenge with AC Milan, having initially agreed a season-long loan deal to exit Juventus following their signing of Cristiano Ronaldo. The 30-year-old told DAZN: "This is a team that, in my opinion, can achieve great things. A team with the characteristics which can allow me to be at my best." Higuain has scored 111 goals in 177 Serie A appearances for Juve and Napoli, including a season record 36 for the latter during the 2015/16 season.